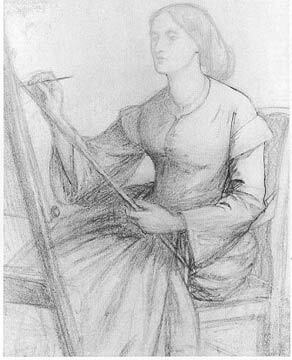 Elizabeth Siddal was discovered by artist Walter Deverell, who needed a model to pose as Viola from Shakespeare’s Twelfth Night. 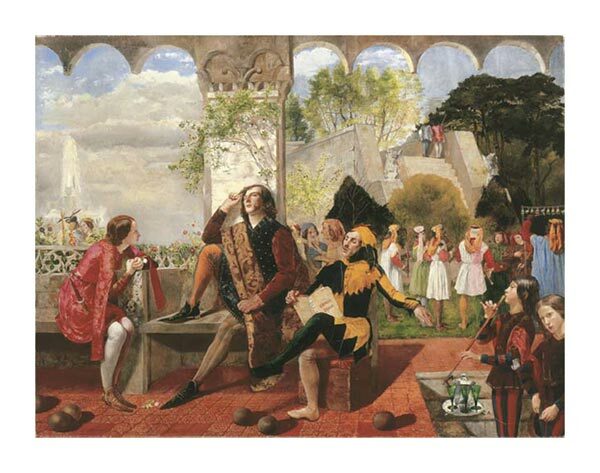 Viola is in disguise, so for her first foray into the art world Siddal donned the medieval costume of a male.To wear such a costume with so much leg showing wasn’t proper behavior for a Victorian young lady. Was she embarrassed? Excited? 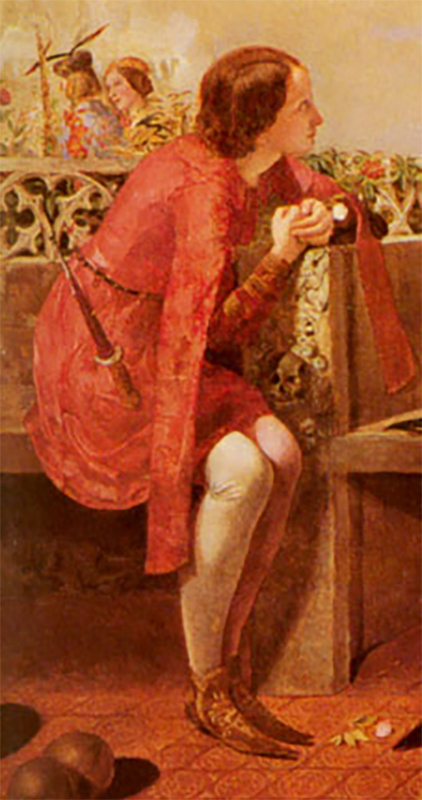 Perhaps she entered into it with the same bold spirit seen in Shakespeare’s fictional Viola. 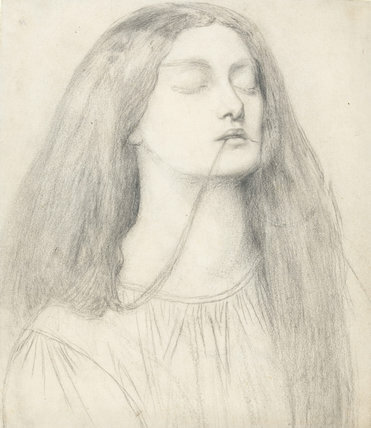 It is in the Delia studies and Millais’ study for Ophelia that I feel I get the clearest sense of Elizabeth Siddal’s visage. 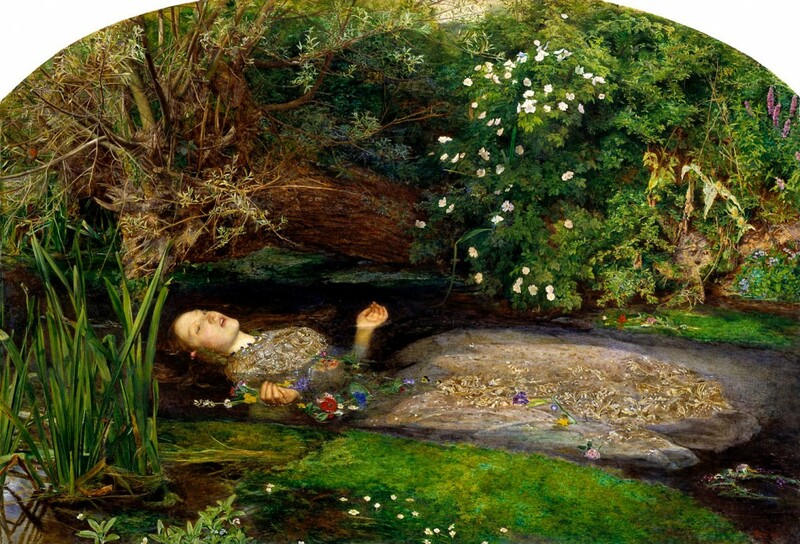 William Michael Rossetti wrote that Millais’ Ophelia was the painting that closest resembled his sister in law. 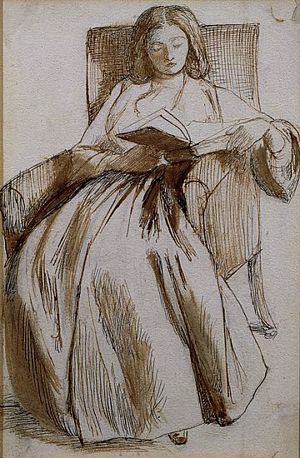 These three studies remain among my favorite works that feature Siddal’s face. 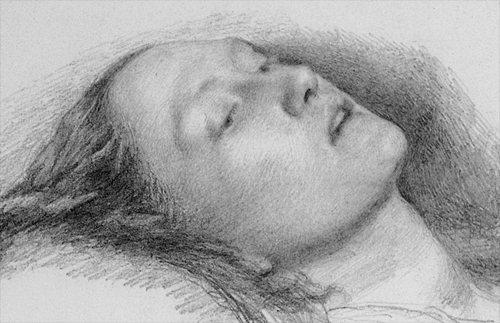 Which brings us to what is arguably the most well-known image of Elizabeth Siddal. The tale of how she posed in a bathtub with dire consequences is told repeatedly. I think it proves how dedicated she was and speaks to her professional attitude. 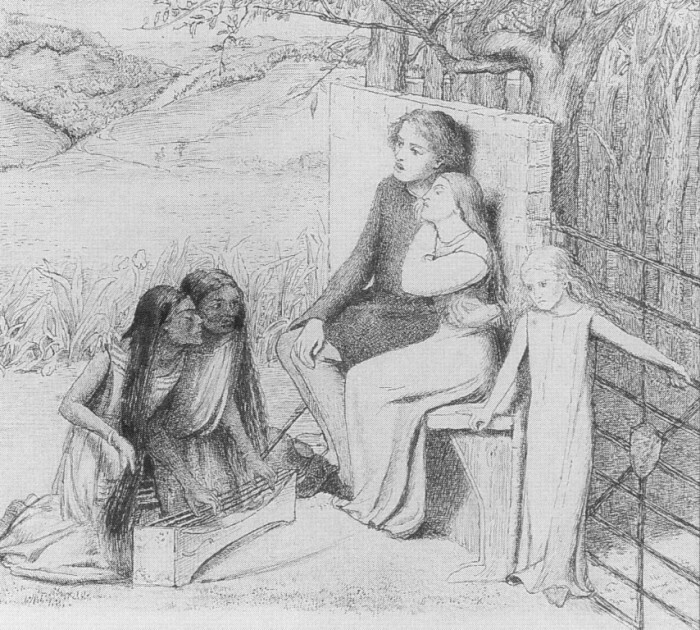 Once again a Shakespearean character, Siddal has become synonymous with Ophelia. 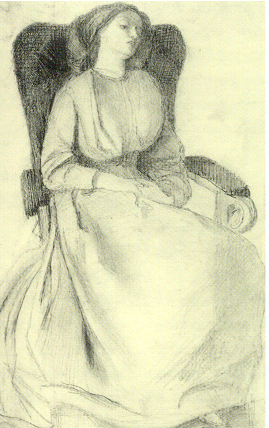 Siddal’s later life was overshadowed with addiction, grief, and loss. 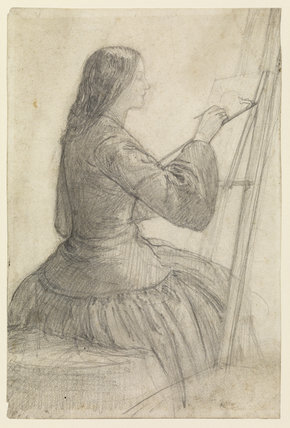 Combine this with Millais’ famous depiction and it is easy to see why Siddal is almost always seen as an Ophelia-like figure. 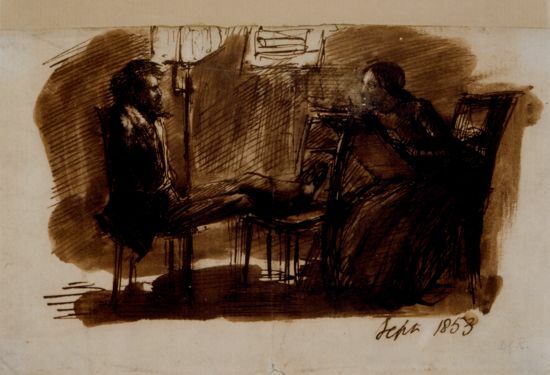 Eventually, she sat only for Rossetti and the many drawings he made of her are like a private invitation into their secluded world. Where Lizzie was usually the subject, here Rossetti sits in the role of model. 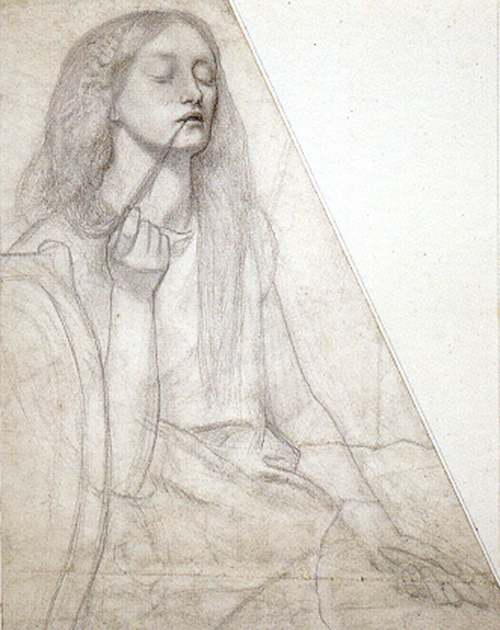 We can see both Rossetti and Siddal’s features in her own drawing, Lovers Listening to Egyptian Girls Playing Music. She presents herself simply. 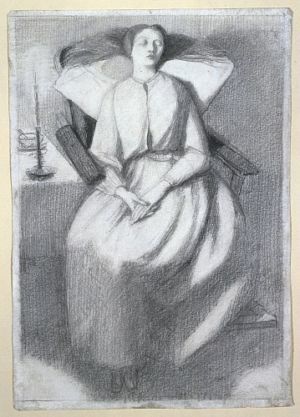 Perhaps she wanted to move beyond the superficial and just paint the one thing that may have never been painted before: herself as she truly was. 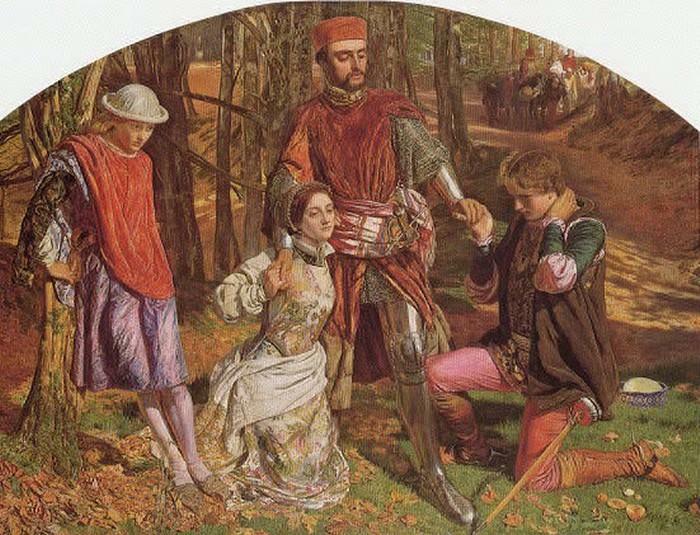 At this point, she had seen herself depicted by most of the Pre-Raphaelite Brotherhood as Shakespearean heroines and Arthurian damsels. 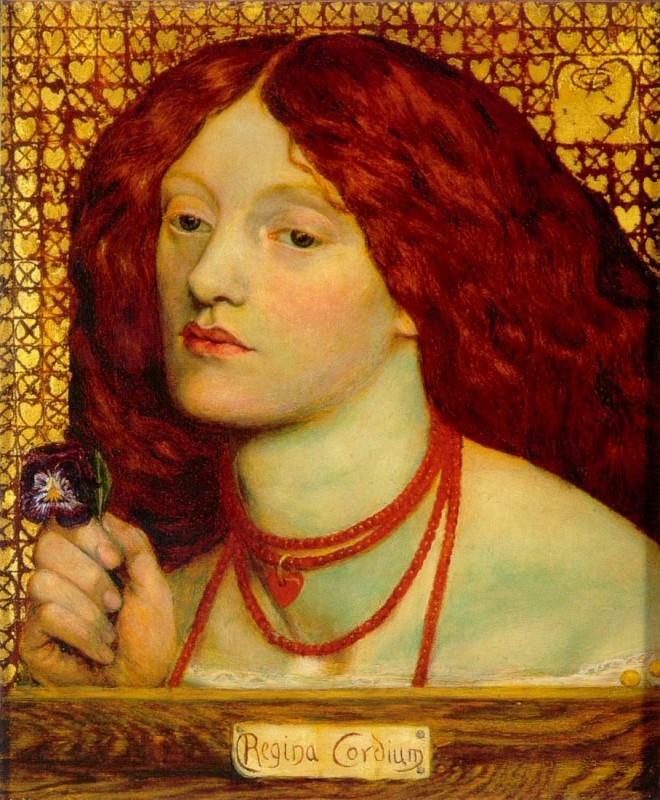 Now it was her turn to create the one work that sets aside all notions of Ophelia or other Pre-Raphaelite beauties. 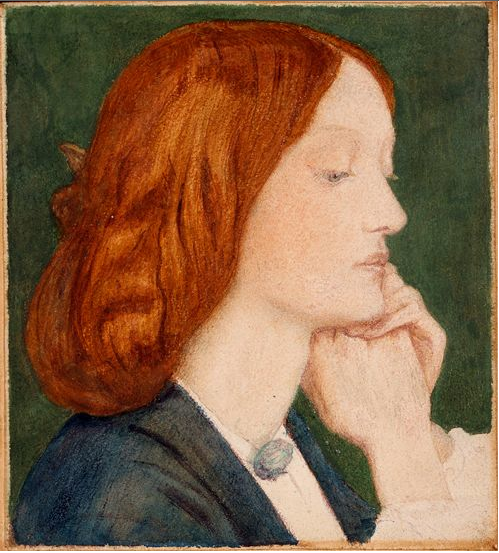 This is Elizabeth Siddal, no longer gazing off to the side as she does in Rossetti’s many drawings. Here she is before marriage, before the tragedy of her stillborn daughter. Before the cycle of addiction. 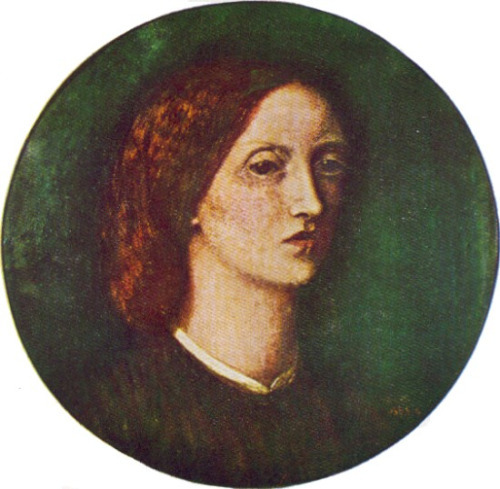 Then I look at Elizabeth Siddal’s self-portrait and think ‘Not as she is, but as she fills his dream’? Nope. Not this time.